NEW YORK - Eight hundred thousand people participated in the March for Our Lives rally in Washington on March 24, according to organizers with the Never Again movement sparked by the Parkland, Florida, school massacre. 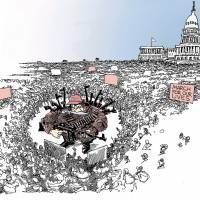 The turnout was impressive — but will it lead to new gun legislation? Enthusiasm is necessary to launch a movement. Careful strategizing is required to sustain and grow it. The Million Moms March, also dedicated to curbing gun violence, drew a similar-sized crowd in 2000. Yet the next two decades saw one mass shooting after another, the NRA gaining rather than losing political influence, and a major reversal for the gun control movement marked by the failure to renew the ban on assault weapons. At almost all these events, speakers proclaimed themselves present at the continuation or initiation of a movement. But sustained movements must be organized. These were, like the Free Speech Movement at the University of California, Berkeley in 1964, political spasms. Perhaps not theater as farce — but theater at most. At best, some presaged something later, bigger and effective. Weighing in favor of the Never Again movement’s chances of effecting real change is the role of social media, which can bring large groups of people together quickly. But they also need a simple, coherent, bumper-sticker-ready demand message. The March for Our Lives on March 24 opposed gun violence. The problem is, it failed to articulate a precise demand or set of demands. Should we, as retired Supreme Court Justice John Paul Stevens suggested recently, repeal the Second Amendment entirely and ban all guns? Asking Congress to simply “address” an issue is an invitation for more endless debate leading nowhere, or to a compromise so watered down that it undermines the cause. (The Affordable Care Act is an example of the latter.) A movement must settle on an area of clear focus. 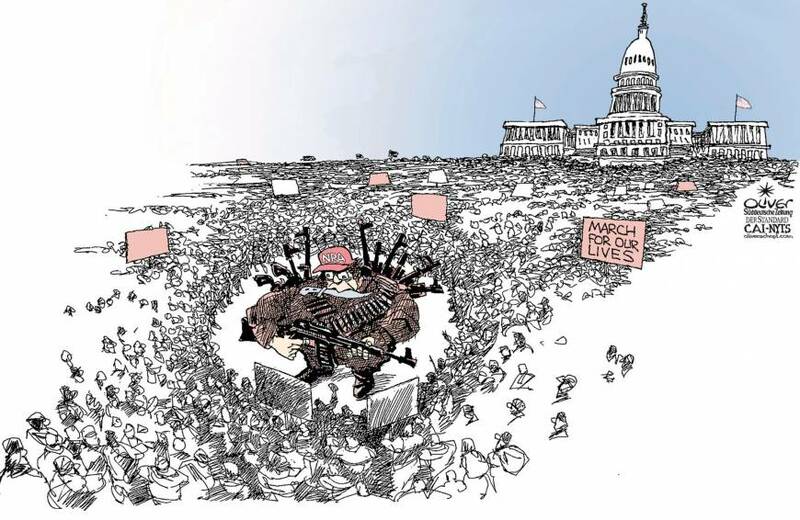 Unlike Occupy, which was split between reformists and revolutionaries and talked about everything from restoring the Glass-Steagall Act to eliminating homelessness, Never Again has that part down pat. An effective movement also has to settle on the solution to a problem. Proposing a path forward does not guarantee success. Demonstrators had a clear, straightforward demand in 2002-2003: Do not invade Iraq. The Bush administration ignored them. On the other hand, it’s now painfully clear which side was right. That will add to the credibility of antiwar marchers the next time a president tries to start a war of choice. Settling on a clear solution, as opposed to asking the political class to “address” the issue, entails risk. For Never Again, advocating a comprehensive gun ban will push away allies who prefer a compromise approach. On the other hand, a more moderate approach will generate less excitement among those in favor of a radical solution (and moderation generally elicits less enthusiasm). But to take a page from gun-toting military folks, it’s better to go into battle with half an army than a whole one riddled with confusion and no idea why they’re fighting.